My school is a Title 1 school under No Child Left Behind and did not make AYP (adequate yearly progress). The school says that we only have one school within the district, therefore no change of schools is required. Why don’t I have the choice to go to another school? Where can I look for my rights? NCLB says Title 1 schools are supposed to make arrangements for kids to attend schools that are passing. 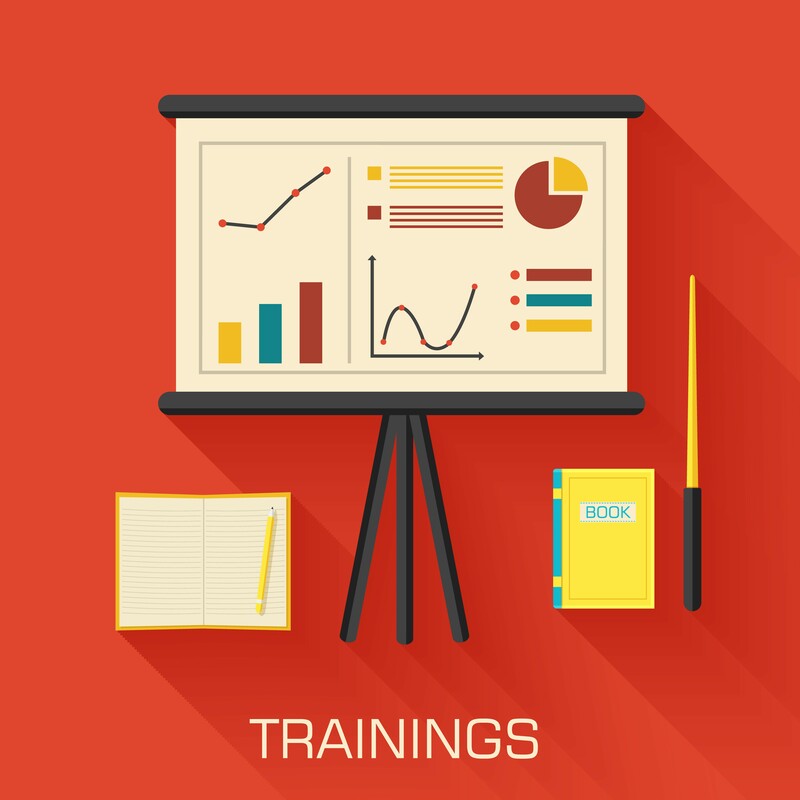 Passing schools are those making their Adequate Yearly Progress (AYP) goals. This requirement still applies even if it means transferring to a school in a different district. NCLB says that all children in a failing school can choose to go to a non-failing school. If there is no other passing school in your district, you may choose a school in another district. 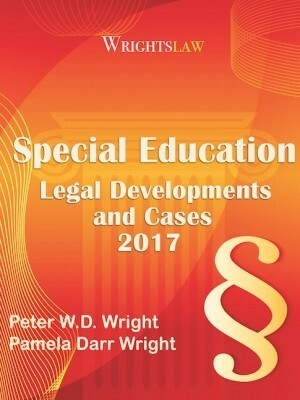 Sue Whitney Heath, co-author of Wrightslaw: No Child Left Behind, [OUT OF PRINT] explains the choices you have if your school is a Title 1 school and is failing to meet its AYP goals. If your Title 1 School fails to reach its AYP goal for three years, your school will provide supplemental services to the children remaining there. These supplemental services include tutoring, after-school programs, and summer school. 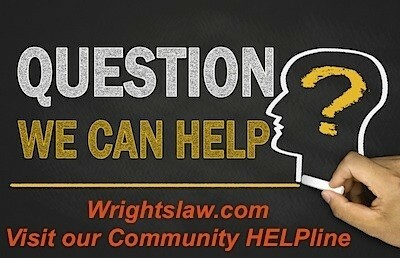 You’ll find answers to more of your questions about the law here: NCLB at Wrightslaw. 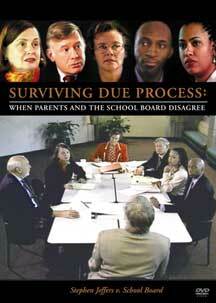 On the NCLB Law page scroll down to Guidance Documents for the Public School Choice, Non-Regulatory Guidance Draft. 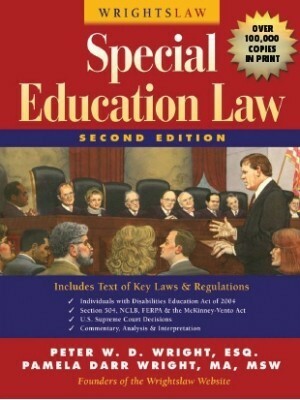 Today from Education News at http://www.ednews.org read more about what happened in the Houston Independent School District where about 15% of the schools failed to make adequate progress under NCLB in 2007, making about 17,500 students qualified to change schools. Unfortunately, some Texas parents will have to wait until Oct. 8 — more than six weeks after the first day of school — to find out whether their children are entitled to transfer to a higher-performing campus under No Child Left Behind. It’s not the first time the Texas Education Agency has failed to comply with the federal law’s requirement that parents be given notice in time to get their children out of failing schools before the first bell rings. Read more in Delay leaves students who want to transfer in limbo. 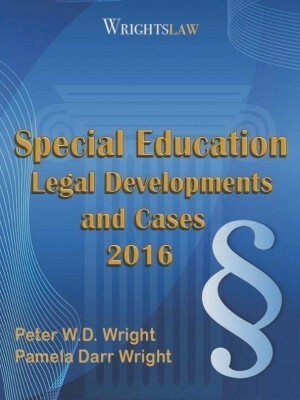 This entry was posted in No Child Left Behind, Special Ed Law and tagged AYP, NCLB, No Child Left Behind, Public School Choice, Rights & Responsibilities, Transferring schools by Wrightslaw. Bookmark the permalink. My son attends a Title 1 program improvement (PI) school and I was offered by the Director for Compensatory Education one of two schools in the same district, but both schools are also PI schools, I told this person it was “pointless to transfer”. Brought this to the Director of Child Welfare and Attendance she said since I refused there offer they will not help. After trying to reason with her, it changed to “the district does not base student transfer requests on Academic Performance Index (API) scores unless the schools are placed on the Ramero List by the State. School in question is not on this list. I grieved this and lost. I filed an appeal stating violations of my Constitutional Rights Article VI Clause 2, NCLB Act and ESEA. I recently lost my appeal. If my case interests you I have no problem going into complete detail. I’m a mother of a 1st grader his school did not pass the AYP. I called different schools from other districts and they told me they are not accepting children due to overcrowded classes in this case was my other option I don’t understand how this system works. My son’s elementary school is a title I and did not meet AYP for the first year. I received a letter from the district as a choice to transfer my son to another school. Is this possible? Do they must provide transportation? Do all students gets a choice of transfering or is it for only specific students? Before we moved to a new school district, I requested all of my child’s records including academic, health, etc. 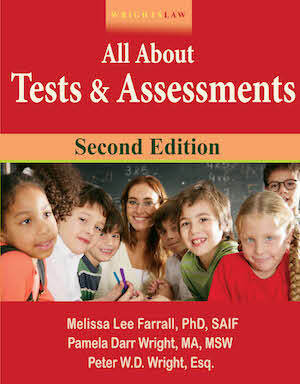 I had copies of progress reports and state assessments. I made extra copies. I delivered one packet to his new school. And, I delivered a second packet to the pupil services department at the new school district. The pupil services director at the new school district was very appreciative. Apparently, school records go to the new school, not the pupil services director. Then, the school copies the records and send to the pupil services. My efforts resulted in both departments having the records concurrenlty and everything for my child was off to a good start. They had records two months before we transferred and all is well. This may help other pareents. Kristine, The only reason I can think of a school refusing to send the IEP is because it was never signed by all of the team members? You mentioned you have a DRAFT IEP. 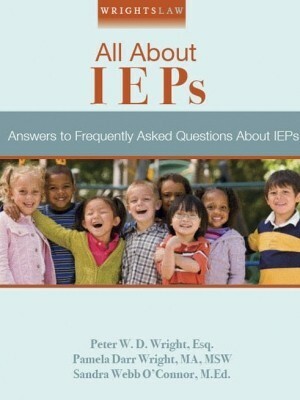 IF that is the case have them send you the final sheet of the IEP and you get it back to them and there should be no problem. Otherwise I cannot understand what the problem would be. I am looking for any document, law or regulation regarding transfer of student records interstate, public school to public school. We moved from ME to MA and the school in ME is refusing to send my 7yr old son’s IEP. They have sent all records for my 9 yr old(non special needs) but the MA school can’t appropriately place my youngest w/o his IEP. 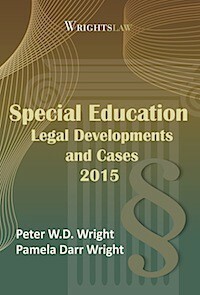 We had recently updated the IEP in ME and my copy is a draft. The MA school needs the signed copy that, in my opinion should have been included with the rest of his schol records. Any info would be appreciated. 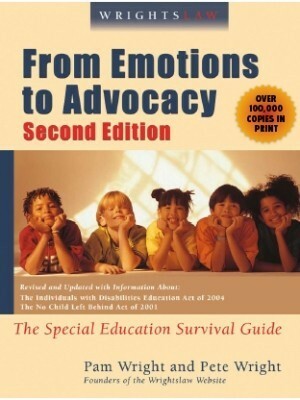 My child has a learning disability (ADHD and Dyslexic), the high school that he was attending during the school year of 2009-2010, failed to do as they had promised through his I.E.P goals and he was left behind, educationally, more than a year. At the I.E.P meeting, after this was discovered. It was suggested that he attends an alternative education program (A.E.P.) in my area (claiming that they would better meet his needs there because,f the classroom sizes are much smaller, etc.) 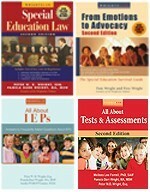 which I just recently found out that the A.E.P., has failed its A.Y.P. for several years in a row and the other high schools in my area says that they can’t service him because, they can not accommodate him with the classroom size he needs. So, what are my options? Our elementary school failed to make AYP three years in a row. Parents were sent letters saying you may transfer to school A, B, or C. School A is 10 min. from student’s home. School B is 40 min. from student’s home. School C is 55 min. from student’s home. The letter said that if you decide to transfer, you have to choose B or C because A is overcrowded. Do you have any advice on how to get a child into school A? I’m from Florida and my children’s elementary school has not met their AYP for year 2. Is it up to the State to decide when to impose a Choice program? Here in Palm Beach County the school must have not met AYP for THREE years before they give the option for Choice. Is that against federal law or does the federal law allow for the State to make this determination?? I hope I am understanding this correctly. If a school does not meet AYP 2 years in a row, I can choose to send my child to a school that is passing. Does this apply to any state. We are in Pennsylvania. Can I choose to do this prior to my child beginning the first year at the school and begin fresh at the “new school”? My child has one more year at the elementary school, which is awesome, and the middle school that is for our township does not pass the AYP requirements. However, I called administration and was told that our district does not allow switching schools within the district. So isn’t that contradictory to the NCLB? We really do not want to move but we want a quality education for our child! No school in Florida met AYP. Does that tell somebody something! Is the failure to meet AYP for the entire school or is this broken down into the subgroups? For example, our school has met AYP overall but when you look at the sub-groups they have failed with disabled children for several years in a row. Does this allow our children to be placed at another school or do they stay at this school? I just wanted to say “Thank you.” I had no idea this information was available. My son was an A honor student in middle school. We had to move and his grades declined to a C level. He does not like this new school and he seems to be depressed. I have had to actually chart progression before anyone in the school believed the IEP and teaching methods were not providing progression. Even the District tried to treat me like I did not know what I was talking about. I keep it simple, fact based and have actual examples of work (school gave my son a B in Science when all work averaged out to 59% and then passed him along to next grade). How can we verify implementino of IEP, BIP, Accomodations and Modifications in standard manner. A: Yes. I’m working on a post about progress monitoring now. With progress monitoring, the teacher administers short tests (5 min or less) in specific areas, usually once a week or once every two weeks, and creates graphs of the child’s progress. Parents receive progress graphs at frequent intervals during the school year. When schools use progress monitoring, teachers and parents are on the same page – they know if the child is learning the necessary material on schedule and they know if the child hits a wall. Progress monitoring can be used with kids who have disabilities and those who don’t, with individual kids and classrooms. DC school performance was even worse (about 66% poor performing). And they didn’t do much better with notification – sent their notice to parents of the right to change schools only 3 weeks before the deadline. The district said they just received the results from the standardized tests and the numbers needed to be “crunched…,” to see which schools were failing. Doesn’t make too much difference since 81 schools are low performing – almost 2/3 of the District system. There aren’t many chances of finding a successful school. You also had the choice to remain in the same poorly performing school and get tutoring – a supplemental service – but unfortunately, the District did not manage to get a list a service providers for tutoring to the parents until one day before the deadline to apply. Here’s what the Washington Post (D.C. School Choice Program Offers Few Options) said about the mess. This is an issue we are going to see more and more of as the standards keep raising, more schools are not making AYP. It will be interesting to see what changes will be made in the future as the standards increase even more. People go into teaching because they have a strong desire to help and they like kids. This desire to help often puts teachers at odds with their school administrators. When parents demand and complain, this “disables” the drive and desire to help. You need to present problems and concerns in a way that makes people want to help. Being “nice” (being polite, not a doormat) is more effective than the alternatives, including demanding and complaining. If a person appears to cave in to parental demands, they will find other ways to keep you from getting what you want. This is Human Nature 101. If I understand the issue correctly, your child has a diagnosis that would make an alternate school in the same school district a better fit. A very wise person explained to me that educators all have an inner drive to teach and nurture. They often are not even aware of it but it can be unknowingly disabled if you present a request as if you are telling them to do something. Keep in mind too that with all of the paperwork that is required of them these days, they seem to mistake motion for progress. Using these basic principals, you could write a letter to the Director of Special Services and present “your” dilemma as if you are a person (pupil, project) who needs this nurturing that they are so eager to share. Some administrators quit being taught stuff when they graduated college. I think that when we try to tell them about a law that we have read about, it cause post traumatic stress of their education before they were kinged. As they help you work through this “dilemma”, you may find that they are willing to entertain this move in the name of “progress”. A parent has asked if she can take her son to any school within the same school district. She reports her son has been labeled a “trouble maker” at his current school, due to him self-advocating when other student’s picked on him and made fun of his disabilities. The parent wants to enroll her son in a school attended by other disabled children in which she hopes he will be more accepted. This school is still within the same ISD. Is she allowed to enroll her son in a school of her choice?